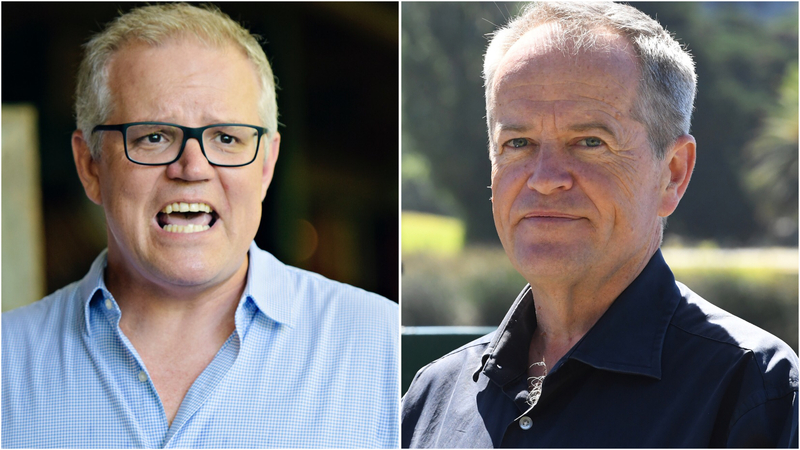 The speech will come after the latest Newspoll revealed the coalition government is facing defeat at the next election despite a lift in Scott Morrison&apos;s personal approval ratings. Labor&apos;s lead over the coalition on a two-party preferred vote was unchanged at 53 to 47 per cent. Under the proposed reforms to medical transfers - which have already passed the Senate with the backing of Labor and crossbenchers - two specially-appointed doctors could request medical transfers for offshore asylum seekers to Australia. A minister would then be required to review their case in 24 hours, and if they reject it, an independent health advice panel would review it. But Labor has stressed the panel&apos;s advice could still be overruled by a minister on security grounds. Immigration Minister David Coleman says the government has advice showing all asylum seekers on Manus Island and Nauru would be sent to Australia within weeks if the changes came into effect. That would cripple the nation&apos;s offshore processing system and ultimately lead to its demise, he says. "The structure of this legislation is designed to undermine offshore processing to such a state that it no longer exists any more," he told Sky News on Sunday. The minister dodged questions about whether that suggests everyone in the offshore processing centres is unwell. But Mr Coleman said the current process was effective, with doctors located at offshore processing sites recommending transfers which are then considered by the government&apos;s Department of Home Affairs. Opposition immigration spokesman Shayne Neumann has accused Mr Coleman of being a "shrill liar", saying Labor would never let people smugglers back in business by giving way on offshore processing. "We will continue strong border protection measures including offshore processing, turnbacks when safe to do so and regional resettlement," he said. His comments come after Labor suggested it is searching for an agreement with the government on the issue. "I do think if there&apos;s middle ground, we should try and find it," Opposition Leader Bill Shorten told reporters in Sydney. A vote is expected on the changes in the lower house as early as this week, with the minority coalition government facing the prospect of a loss if both Labor and enough crossbenchers support them.